Over the past few months, I have been much more conscious of the ways our communities reinforce policing. 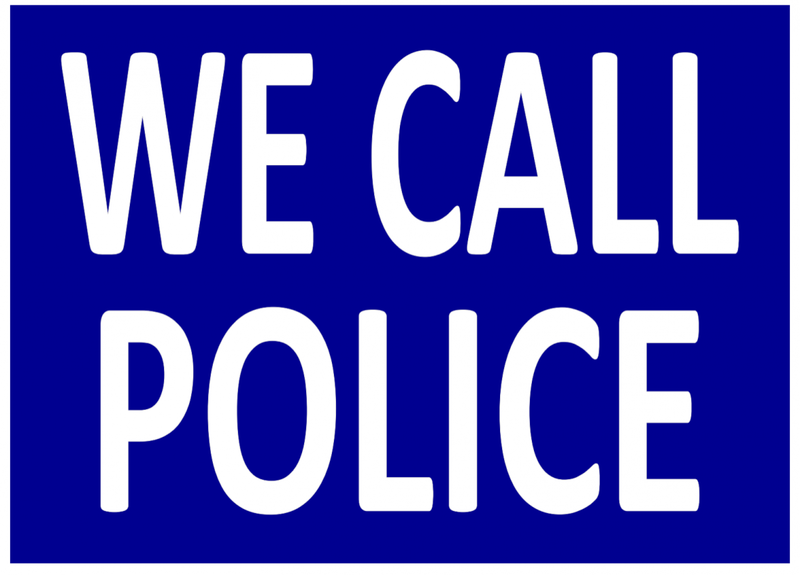 Walking around my neighborhood, I have been seeing a lot more “we call police” signs. A year ago, this wouldn’t have meant much. Now, I just see it as more potential young people in jails. Online, residents use community forums to express their ardent support for calling the police. Recently, a neighbor of mine posted a photo of a homeless man peeing in an alley near her home. Rather than showing some empathy for the man with no home, she merely ranted on about calling the cops repeatedly to remove the man. She had been unsuccessful, so she took to our neighborhood forum to garner more people to her cause. To my dismay, others joined her in demonizing the man. To some, he just represented someone that needed to be removed from the community, not someone to be assisted. With my aversion to increasing the police presence or calling the police to solve conflict, I am faced with the complicated question of alternatives. I just finished the Young Leaders for Justice program at the Chicago Freedom School. A 10-week program, it was intended to educate young people about policing and the criminalization of people of color. Participants ranged from prison abolitionists to those that embraced policing. Program leaders challenged us to rethink norms about policing in our communities. I came in with an open, yet critical mind. Policing and incarceration has impacted my family personally, but I’ve never had a space to explore all the questions and ideas that stem from that. 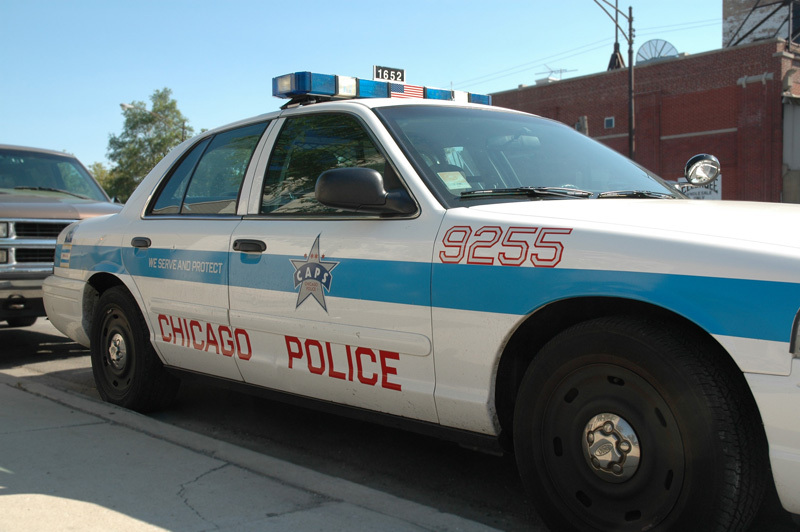 Going to school at the University of Chicago, I was further confronted with what police represent for people of color. A sea of wealth surrounded by immense poverty, the campus police served as the gatekeepers of the campus community. Efforts to keep the poor, Black community away from the campus resulted in racial profiling of both residents and students, in addition to the perpetuation of racist stereotypes of the surrounding communities. Campus protests further uncovered the aggression of the campus police and the clandestine nature of their surveillance of students. When I graduated, a campaign for greater accountability on the part of the campus police was just heating up. Shortly after graduating, Mike Brown was killed in Ferguson. Disturbing scenes from Ferguson filled my social media timelines. I subsequently joined marches and vigils. A few months later, the Eric Garner ruling unleashed another wave of nationwide outrage. I again joined marches, but was bothered by the lull that followed each short bout of protests. I was determined to start addressing issues of policing in my everyday life, which is when Young Leaders for Justice came along. In that program, we learned about the origins of police as slave patrols and the development of the modern police state. From stringent immigration laws to the War on Drugs, we have seen the rise of policing in communities of color over the last few decades. While we were looking at the bigger picture, we were also challenged to evaluate our everyday choices when it comes to the police. We discussed why we choose to call the police when we do, pushed to consider the questions, “Why do we need the police? Why do we rely on the police to solve all our community conflicts?” Program participants shared stories of solving conflicts without calling the police, such as relying on community members to be mediators of conflict. This experience was transformative in challenging me to rethink safety in my community, which brings me back to the issues in my own community. As I see more “we call police” signs in my community and witness the demonization of marginalized members of our community, I internally debate how to build a community that is less reliant on police. While we have been so programmed to rely on them, I’m trying to be more active in challenging those notions. A few weeks ago, my neighbors were playing loud music at midnight and I contemplated calling the police. I didn’t know these particular neighbors, so I was uncomfortable with the idea of going to speak to them personally. Before making any decision, I questioned how I could consider calling the police instead of just going to speak to them. How alienated was I from my neighbors that it seemed like a better option? It’s these sorts of instincts that we need to reconsider. When did we decide that we have no power in our communities? When did we decide putting people in cages solves our problems? I would like for us to challenge ourselves to reevaluate our instinctive choices. When police killings are commonplace and we reside in the country with the most incarcerated people in the world, I know we need to consider alternatives in our communities.